The petition to annex the Baton Rouge General and The Mall of Louisiana into the City of Baton Rouge contained the signatures of five property owners. One of the property owners that did not sign the petition was the Kansas City Southern Railroad. That fact could be critical to any suit challenging the legality of the annexation. The petition’s property description includes a small portion of KCS track along Anselmo Lane. The section is necessary to the incorporation because it links the Level Ventures tract to the Baton Rouge General — an essential link in making The Mall of Louisiana contiguous to the City of Baton Rouge. ments is not actually a lot or parcel or tract of land. Rather, it is just a small portion of a much larger tract of land owned by the KCS. So the question is, can a municipality annex property by petition and include a portion of a landowner’s property — not the entire tract — without the landowner’s permission? A third problem with the KCS tract involves the East Baton Rouge Plan of Government. Section 1.09 of the POG conflicts with state law. State law appears to require every property owner to sign the petition but the POG only requires that a majority in number and value of the property owners sign the petition. Assuming that state law trumps the Plan of Government, every property owner would have to sign the petition. However, if only a majority of the property owners — in number and value — have to sign the petition under the POG, there is still a problem involving the KCS tract. The POG says the Assessor must certify that a majority of the property owners both in number and value have signed the petition. However, the certificate attached to the petition to annex The Mall does not state that. Rather, the Assessor’s statement simply lists the property of those signing the petition and the value of their property. The Assessor’s office said they did not examine value of properties that did not sign the petition in order to determine whether the value of the signers was a majority of the total. 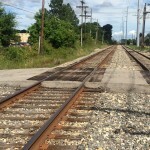 The Assessor’s office said the railroad property is owned by the Kansas City Southern but that the value of railroad property is determined by the Louisiana Tax Commission. The Assessor’s office was not asked to value the KCS tract. Likewise, the Assessor’s certificate did not include a valuation of other properties within the outer borders of the annexation, namely Dillard’s, J.C. Penney’s, Macy’s, Sears, Sears Auto Center, Entergy, TownePlace Suites by Marriott, or the DSLD, LLC, property. See Pages 8-9. If the area proposed for annexation is not contiguous to the city, the annexation is invalid. If the annexation petititon did not include the required signatures, it would also be invalid. Finally, if the Assessor failed to certify that the petition contains a majority in number and value of the property, the annexation is equally invalid.